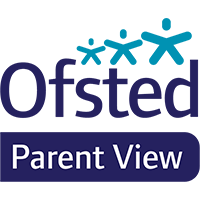 Parent View gives parents the chance to tell Ofsted what they think about their child’s school, from the quality of teaching to dealing with bullying and poor behaviour. Parents are invited to complete a quick survey and this can be completed at any time; you don’t have to wait until the school is being inspected. Any suggestions for improvements or concerns you may have can be discussed with the Headteacher by making an appointment with him via the school office. Ofsted will use the information provided in the surveys when making decisions about which schools to inspect and when. Click below to register and complete a survey to help our school improve. © 2019 Old Sarum Primary School.